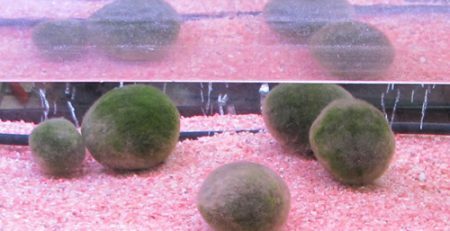 Marimo moss balls (Aegagropila linnaei) are peaceful looking seaweed balls, a species of green algae. 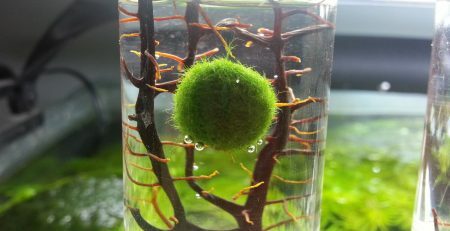 Somewhat rare in natural occurence,marimo moss balls are only found in the northern hemisphere, hailing from Iceland, Scotland, Estonia and Japan. These zen­like creatures are so unique and striking in their earth­like shape that they are protected in Iceland and Japan. 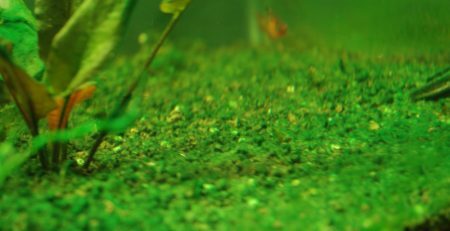 I don’t know many types of algae which bear such a distinction! 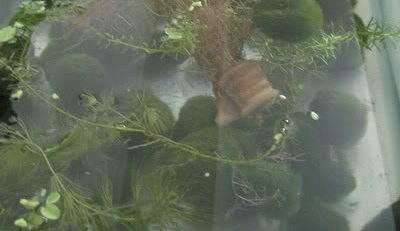 The alga is even marketed as a stuffed toy in Japan. 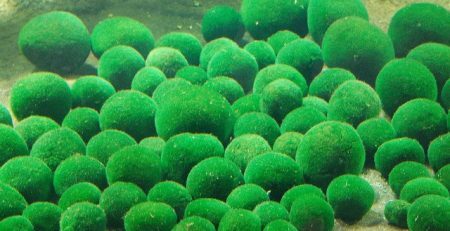 Though only popular in circular form, marimo exist in fresh water lakes as free­floating filament as well as growth on the surface of rocks. 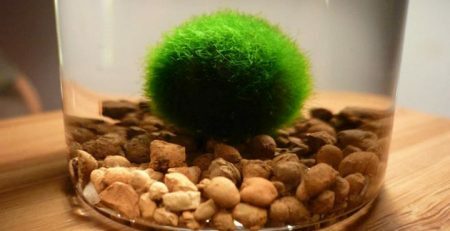 Owning artificial marimo is a relatively easy task and ideal for someone looking to get into flora: marimo require a basic aqua­tank and low­light to medium­light conditions. 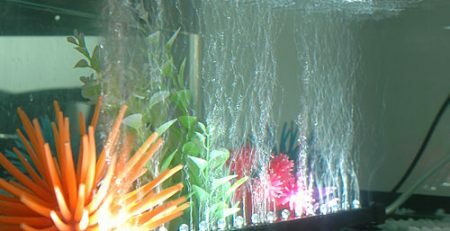 Ambient, non­direct light, such as that of any household satisfy them well. 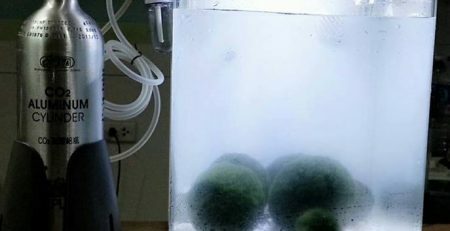 Marimo balls do not fare well under direct­ sunlight as they can burn­­they do just fine photosynthesizing indirect light. 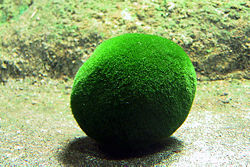 The growth of marimo is rather slow, so be patient. It often works best to squeeze the water out of them from time­to­time. 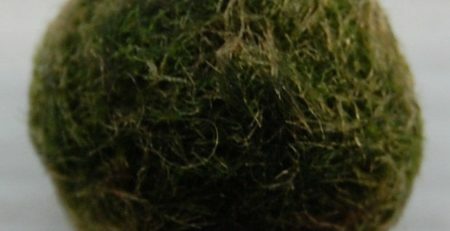 Doing so will lower their density and allow them to rotate, giving all areas of the ball equal light.